GABS Beer, Cider & Food Fest. 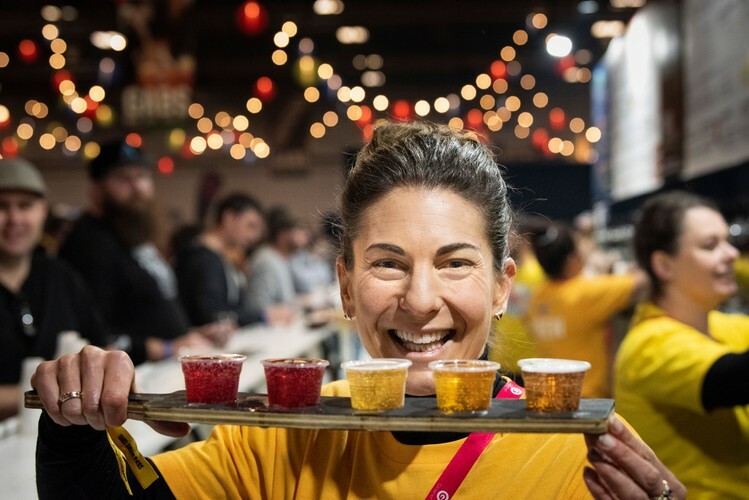 One of the world’s best beer festivals is back with another specTAPular lineup for 2019! Be the first to sample up to 90 unique Festival Beers & Ciders brewed especially for the event, as well as 300+ beers and ciders from the very best breweries and cider makers in New Zealand and Australia. Enjoy delicious street food, marvel at circus acts and roving bands, and dance to your own beat at the biggest ever GABS silent disco! Play Holey Moley mini-golf or hay bale bowling at the Little Creatures House of Fun, take on the Mountain Goat Trail Scavenger Hunt, and learn from the best at the Craft College and Ariston Food & Drink Experience. With so much to see around every corner, GABS is not just a beer festival. It’s an experience.